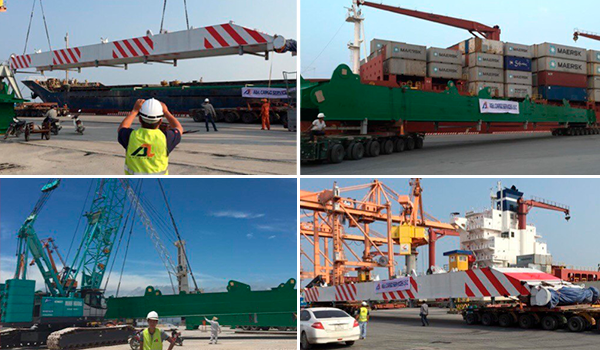 GLOBALIA Haiphong delivers oversized cargo of 57 tons from Ho Chi Minh to Jobsite, in Da Nang, Vietnam. 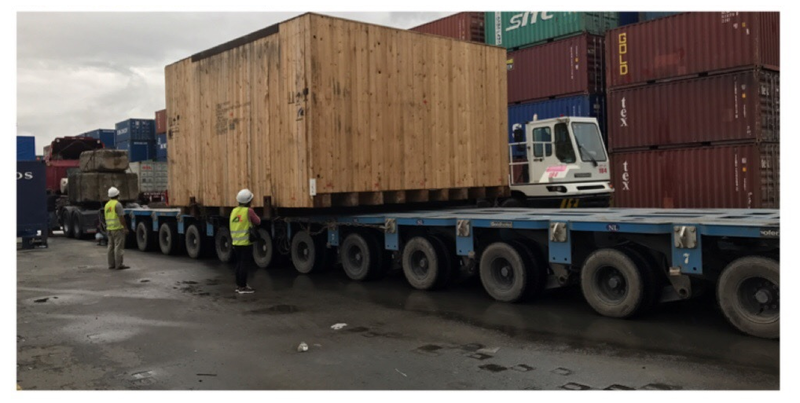 A&L CARGO SERVICES JSC, GLOBALIA Haiphong, has completely the smooth delivery of an OOG-HEAVY package from Ho Chi Minh to Jobsite in Da Nang, Vietnam. The load consisted of a cargo load which measured L: 530cm x W:500cm x H: 320cm and weighed 57 tons. A&L CARGO is specialized in all type of oversized and heavy transport deliveries. Operations involving heavy lifting services and out-of-gauge shipments need to be handled with top-level methods, coherence and experience. At the end of 2016 the A&L Cargo team, GLB member in Haiphong, was asked to participate in the VIP Green Port Project. 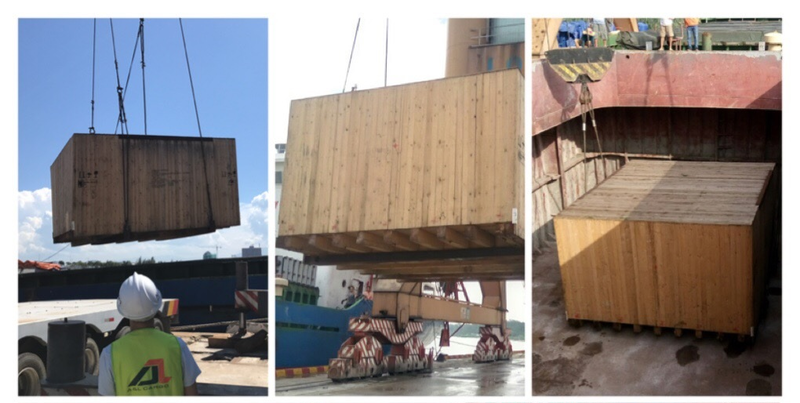 The task consisted in the break bulk shipment of 2 Sets of QC Crane from Ho Chi Min to Haiphong and then transporting it by truck to the client’s jobsite. The cargo had a total volume of 6,640 cubic meters and it included pieces of up to 70,000kgs and 43.8 x 4.5 x 3.3m. This rather challenging assignment was smoothly handled by the team, who took care of the loading and discharging at both ends as well as the dunnage, lashing and securing of the cargo on vessel.